Decisions, decisions. Where are you going for your snowmobiling holiday this winter? With limited time, you want the very best riding possible and good value for your vacation dollar. Most of all, you want great snow! So look no further than Ontario, Canada. Ontario has a well-deserved reputation as the best Go Snowmobiling destination. Riders just can’t get enough of the marked, mapped, maintained and interconnected snowmobile trails. You’ll be amazed by the vastness and diversity of this Canadian province, and by how tens of thousands of riders simply seem to disappear into almost 40,000 kilometres (25,000 miles) of trails: it’s a rare day when Ontario’s trails are congested! And as that good-tired feeling settles in at the end of each day’s ride, you will enjoy warm hospitality, share experiences and relive your Ontario memories. Memories from your Ontario tour will last a lifetime. Yes, Ontario takes good care of its snowmobilers. As a matter of fact, before winter even starts, you can Go ride Ontario. Ontario tourism has developed a dedicated powersports website, so just click the sled icon on the speedometer graphic to enter a special world of snowmobile tourism. At your fingertips, you will discover everything you need to know about Ontario snowmobiling. From lodgings to travel tips and from trail info to tour planning, the Go Ride Ontario site is your ultimate online resource. What’s more, when you visit Go Ride Ontario, you can enter the Choose Your Dream Ride Contest! for a chance to win an all-expenses-paid ride of a lifetime for two in Ontario’s Muskoka and Rainbow Country regions. You choose your ride – ATV, Motorcycle, Snowmobile or Boat – and Ontario tourism takes care of the rest, including round-trip air transportation, all meals and accommodations. All you’ll have to do is start your engine and enjoy some of Ontario’s most scenic vistas. This grand prize is valued at over $5,000 – not bad for just visiting the website! To assist in your Ontario tour planning, you can view OFSC trails online. Just select a district from the on-screen sketch map. Need a paper copy of an Ontario snowmobile trail guide for your travels? A Provincial Snowmobile Trail Guide and 17 district guides are available, so depending where you choose to go ride Ontario, you’re covered. You can order your trail guide(s) directly from each OFSC district. You can also get snowmobiling information and trail guides from Ontario Travel Centres or by calling 1-800-ONTARIO (only valid in when in Canada or the United States). This toll free number connects you to the center that fulfils all requests for materials to Ontario tourism, and it has a supply of 2010 trail guides available to be mailed on request. Detailed maps and well-marked trails make it easy to find your way. For many years, Ontario tourism and the Ontario Federation of Snowmobile Clubs (OFSC) have partnered to promote and develop snowmobiling as the province’s premier winter tourism product. To operate and maintain Ontario’s snowmobile trails as best in class, the OFSC relies on the user pay system, not on gas taxes or other government funding. User pay simply means that all riders help share the cost of operating trails by purchasing a Snowmobile Trail Permit. In fact, it’s the law in Ontario for all sleds entering OFSC Prescribed trails to have and display a valid permit. Buying a Snowmobile Trail Permit is a very small price to pay for such a fantastic snowmobiling experience. And buying a permit is even easier this season with the launch of Online Full Season Permit Sales. This new site is private, secure and confidential, meeting all consumer protections and safeguards mandated by the Government of Ontario. 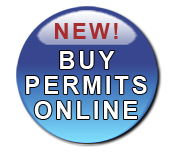 So no matter where you live, getting your 2010 permit is only a mouse click away! When you buy your 2010 Full Season Trail Permit, be sure to sign up for OFSC member benefits, too. Buying a permit on its own does not make you an OFSC member, buying and signing up does! Doing so ensures that you get your annual subscription to the OFSC Go Snowmobiling magazine, plus Supertrax and a host of other advantages. That way, you’ll be right up to date about Ontario snowmobiling every time you receive the magazine! Now’s the time to start planning to go ride Ontario. Using all of the tools and links highlighted above, you will soon discover such popular Ontario snowmobiling destinations as Getaway Country, Ontario’s Near North, Renfrew County, Algoma Country or Eastern Ontario. It’s as easy to plan your Ontario getaway as it is to snowmobile there. So there’s really no decision at all – Ontario is your only choice to go snowmobiling this winter. Plan today and we’ll see you on our trails this winter! Ontario’s trails are meticulously maintained by dedicated volunteers for your enjoyment. Craig Nicholson is the author of “Canada’s Best Snowmobiling — Your Ultimate Ride Guide”. His syndicated column “The Intrepid Snowmobiler” appears in newspapers throughout North America. He also hosts “The Intrepid Snowmobiler on Radio” and appears regularly on Snowmobiler Television. For more info, click IntrepidSnowmobiler.com.